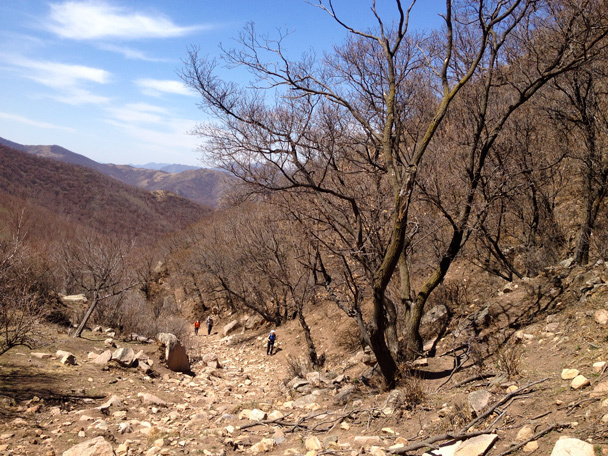 In Brief: Photos from a hot day’s hike up one of the tallest peaks in Beijing. 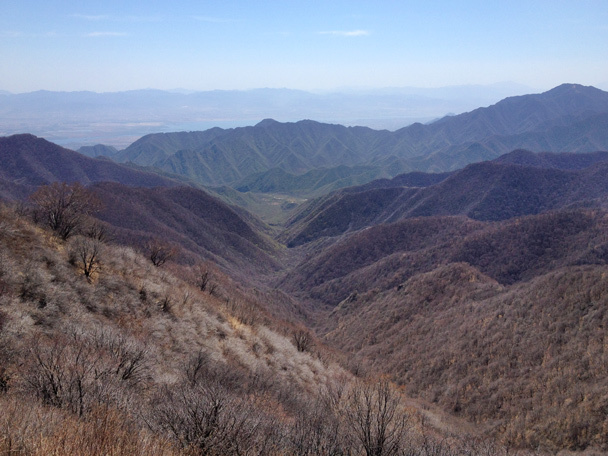 Dahaituo Mountain sits right on the border of Beijing’s Yanqing County and neighbouring Hebei Province, and the climb up to the 2,198.388m peak is one of our favourites. 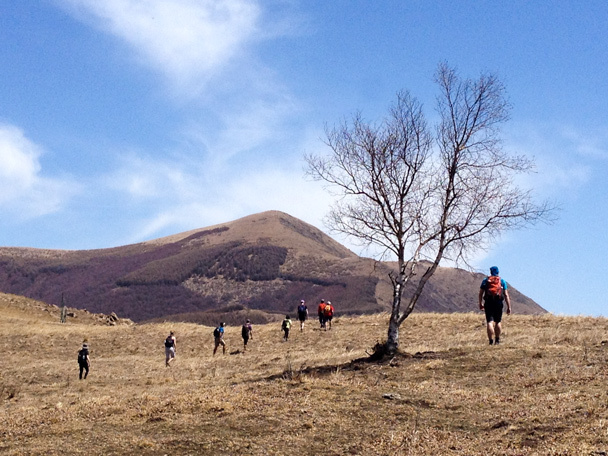 We started off at a small village in the mountains, and followed field paths and cow tracks up onto the ridge that leads to the peak. 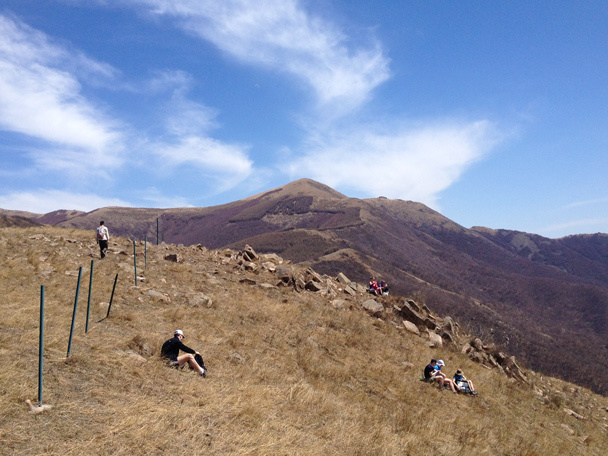 After a break for lunch, we continued the climb to the top - a tough slog that gets steeper as it goes. 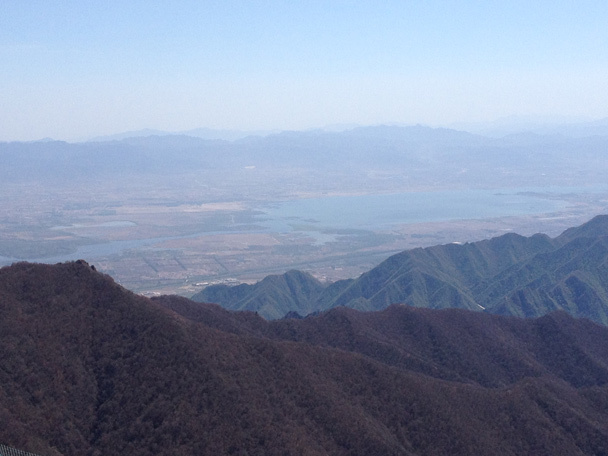 On such a clear day the views from the top were super: long views of the mountains all around, with the Guanting Reservoir and Yanqing City visible far in the distance. 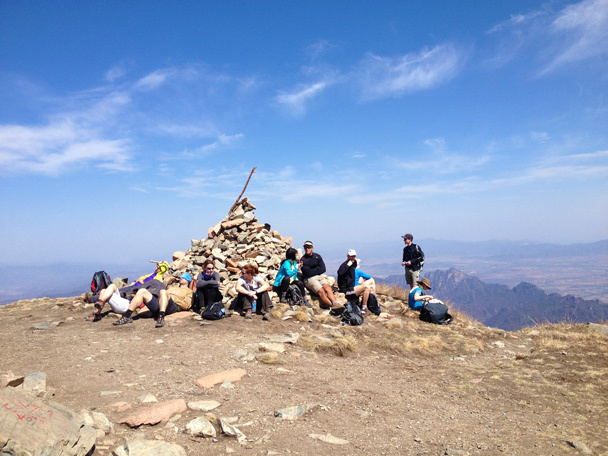 We somehow had the whole mountain to ourselves on a perfect blue sky day - most unusual, and most welcome! See the photos below. 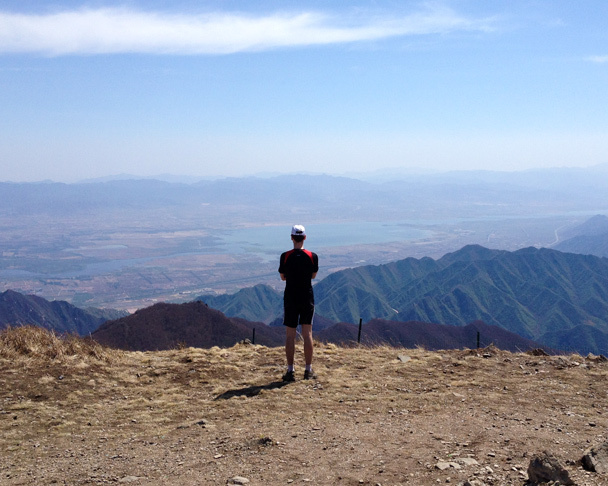 We set out from the small village in the background of the photo. 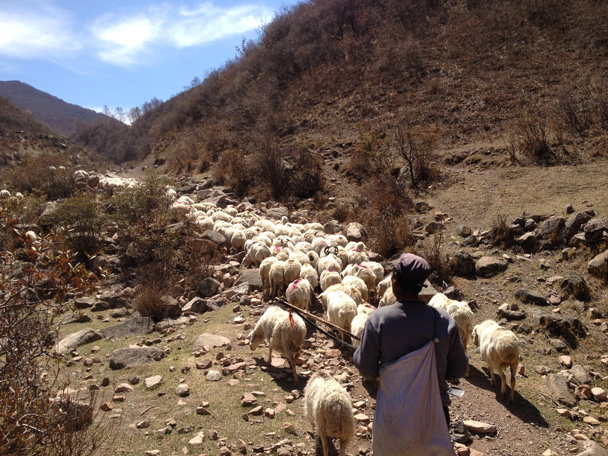 The countryside version of bad traffic: about a hundred sheep covering the path we wanted to follow. Up on to the main ridgeline, with the lower peak seen in the distance. We stopped here for lunch. The fence roughly marks the Beijing-Hebei border. 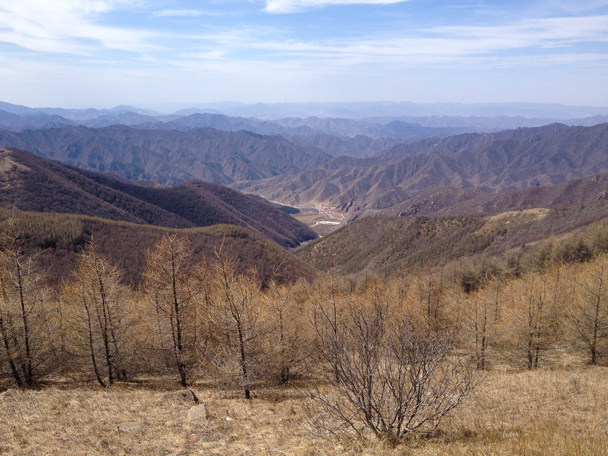 If Beijing gets the Winter Olympics, this view will be transformed - it’s where they plan the downhill skiing tracks. A view down a long valley, with the water of the Guanting Reservoir seen in the far distance. 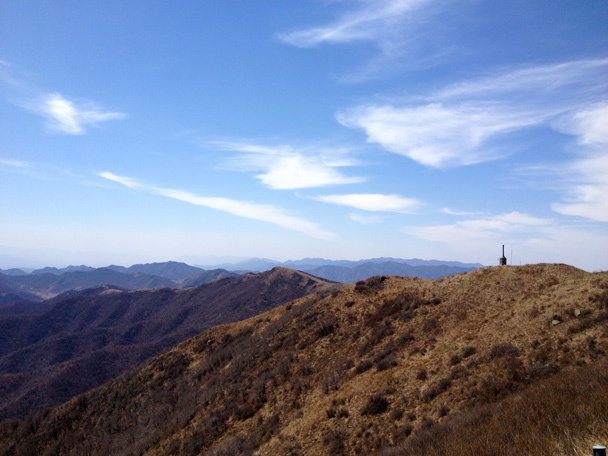 We had walked up along this ridge, passing the weather station on the way. Far below is the village where we’d eventually finish the walk. 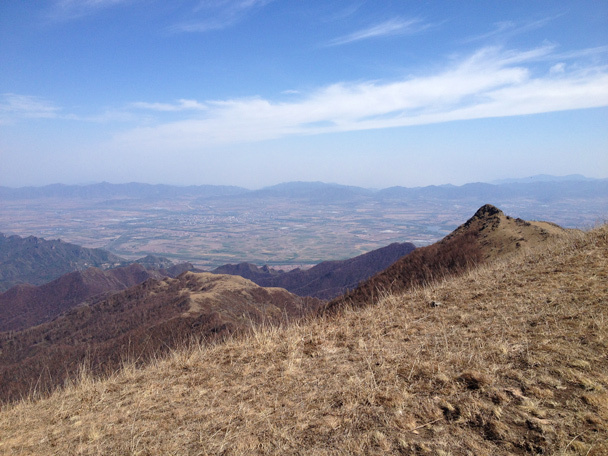 A view of the ridgeline we followed up to the top. Another shot of the Guanting Reservoir. 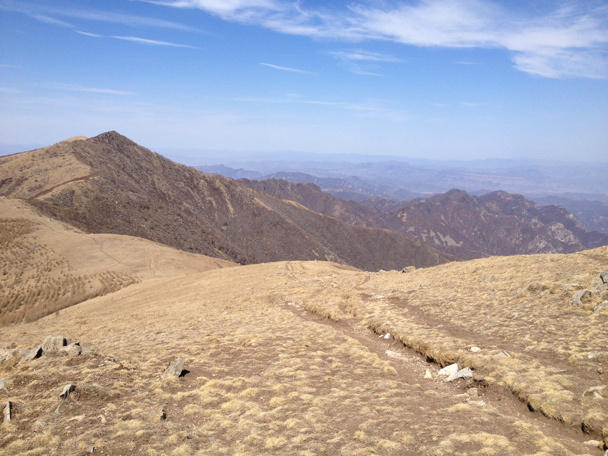 This photo was taken on the lower peak, looking north towards the higher peak. 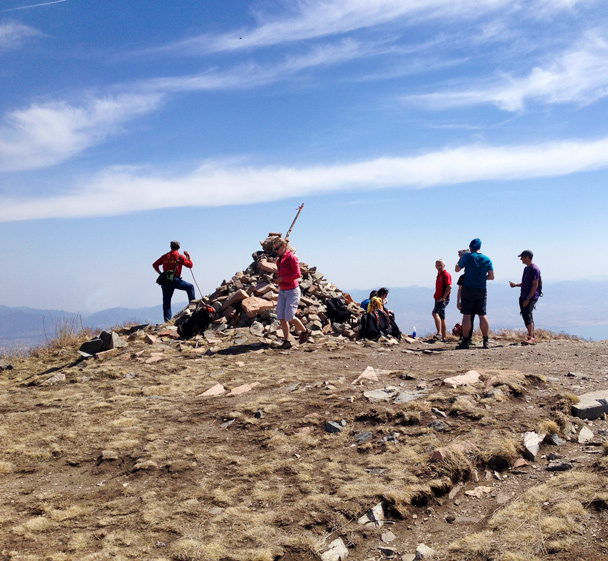 The cairn at the top. Just the spot for a break. Hiking guide Simon at the top. 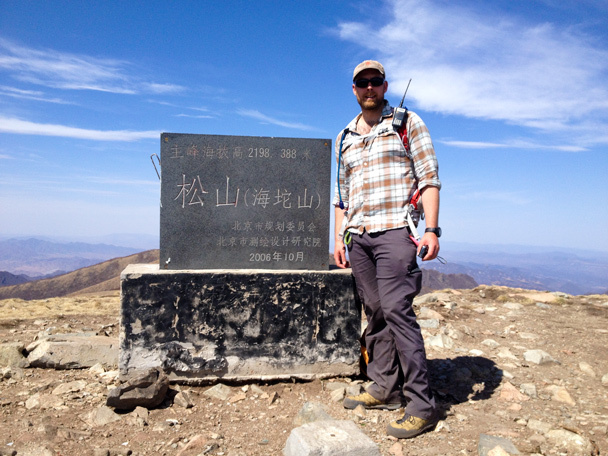 We said the peak was 2198.388m, and the sign here is our proof! 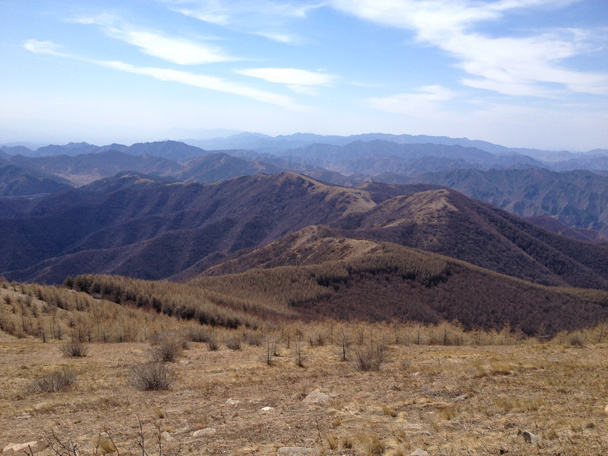 A view south from the peak - the dip in the hills in the background is the Badaling pass, which leads to Beijing city. 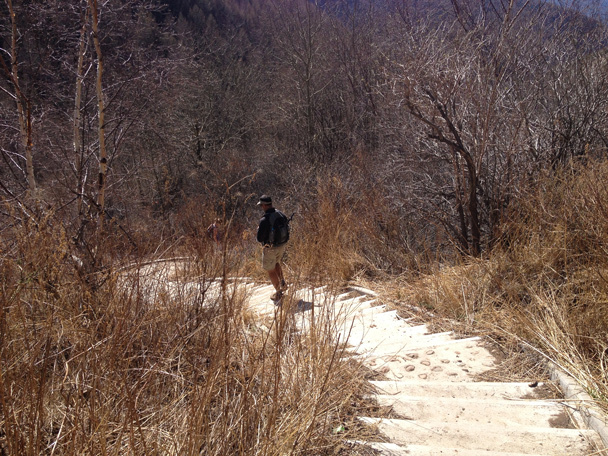 We hiked out down a long valley and then on to steps that have been built as part of a park. 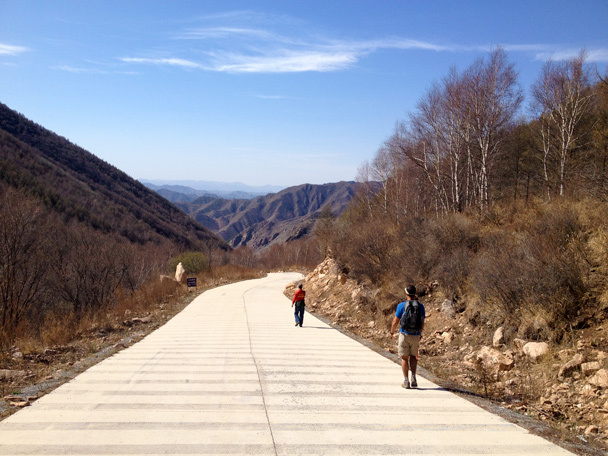 This long concrete road took us out to the end of the hike. 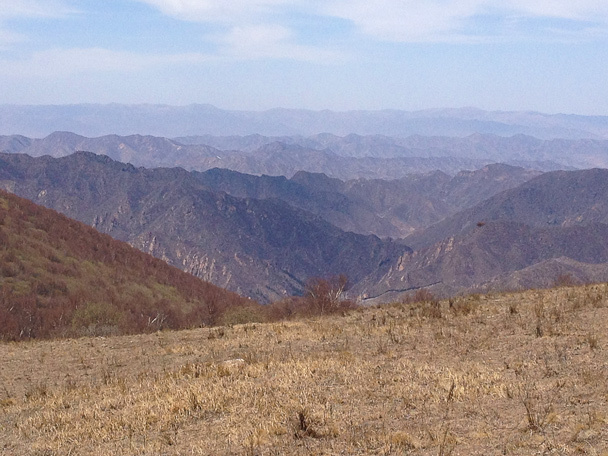 In Brief: See a set of 26 photos from a day trip to the Yunmeng Gorge—mountains, cliffs, canyons, trees … and swimming!